CBI - China: Day 7 of 154 of the Japanese Invasion of Manchuria. Spain: Day 70 of 985 of the Spanish Civil War. Spain: Day 435 of 985 of the Spanish Civil War. CBI - China: Day 80 of 2,987 of the 2nd Sino-Japanese War. Day 43 of 106 of the 2nd Battle of Shanghai. Day 24 of 70 of the Battle of Taiyuan. Spain: Day 800 of 985 of the Spanish Civil War. CBI - China: Day 445 of 2,987 of the 2nd Sino-Japanese War. Day 106 of 139 of the Battle of Wuhan. Atlantic: U-boats sink three UK-bound neutral merchant ships. Germany: Rationing of bread and flour is introduced on a small scale. Poland: Day 24 of 36 of Germany's Invasion of Poland. The Luftwaffe bombs Warsaw. German Special Task Force troops execute 800 Polish intellectuals and leaders in Bydgoszcz. Poland: Day 8 of 20 of the USSR's Invasion of Poland. CBI - China: Day 810 of 2,987 of the 2nd Sino-Japanese War. Day 12 of 26 of the 1st Battle of Changsha. ETO - UK: Day 19 of 258 of the Blitz. Southampton and Brighton also attacked. 444,000 children already evacuated from London area. ETO - UK: Day 77 of 114 of the Battle of Britain. MTO - Egypt: Major reinforcements arrive in Egypt from Britain. West Africa: Vichy France launches air raids on British Gibraltar. East Africa: Day 107 of 537 of Italy's East African campaign in the lands south of Egypt. CBI - China: Day 1,176 of 2,987 of the 2nd Sino-Japanese War. Day 315 of 381 of the Battle of South Guangxi. Day 36 of 42 of the Hundred Regiments Offensive. CBI - Indochina: Day 3 of 5 of the Japanese invasion of Vichy French Indochina. CBI - Indochina: Day 3 of 4 of the Battle of Lang Son. CBI - Indochina: Day 1 of 3 of the Battle of Hai Phong. 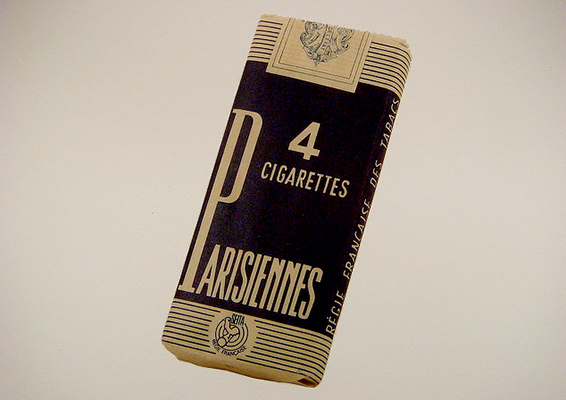 ETO - France: Tobacco ration in occupied Paris is reduced to four cigarettes per day for men and zero for women. Special four-cigarette ration packs are issued. Russian Front - Finland: Day 95 of 164 of the Battle of Hanko. The Soviets will be forced off their leased naval base. Russian Front - Finland: Day 21 of 28 of Finland's reconquest of East Karelia in southern Finland. The Soviets continue withdrawing from Finland back to Leningrad. Russian Front - Finland: Day 88 of 142 of Operation SILVER FOX, a joint German-Finnish campaign to capture the Russian port of Murmansk in the Arctic. The German troops continue withdrawing back into northern Finland. Russian Front - Finland: Day 86 of 140 of Operation ARCTIC FOX, a joint German-Finnish campaign against Soviet Northern Front defenses at Salla, Finland. Russian Front: Day 95 of 167 of Germany's Operation BARBAROSSA, the overall invasion of the USSR. Russian Front - North: Day 17 of 872 of the Siege of Leningrad. Russian Front - South: Day 48 of 70 of the Siege of Odessa, Ukraine. Russian Front - South: Day 33 of 35 of the 1st Battle of Kiev, Ukraine. Russian Front - South: German Army Group South begin an offensive toward the Crimea at Perekop. MTO - Libya: Day 168 of 256 of the Siege of Tobruk. East Africa: Day 472 of 537 of Italy's East African campaign in the lands south of Egypt. CBI - China: Day 1,541 of 2,987 of the 2nd Sino-Japanese War. Day 19 of 33 of the 2nd Battle of Changsha. Russian Front - North: Day 382 of 872 of the Siege of Leningrad. Russian Front - North: Day 143 of 658 of the Siege of the Kholm Pocket, USSR lays siege to the Kholm Pocket but the Germans hold out for a about a year and a half. Russian Front - Center: Day 57 of 64 of the 1st Battle of Rzhev-Sychevka, Russia. Though it will end in a stalemate, it will keep German troops from going to Stalingrad. Russian Front - South: Day 89 of 150 of Germany's CASE BLUE, the failed offensive to take the Caucasus oil fields. Units of German Army Group South's Group A launch an attack against the Black Sea port of Tuapse. Russian Front - South: Day 33 of 165 of the Battle of Stalingrad, the bloodiest battle in human history. German Army Group South begins their so-called "final offensive" to capture the city. East Africa: Day 143 of 186 of the Battle of Madagascar. CBI - China: Day 1,906 of 2,987 of the 2nd Sino-Japanese War. PTO - Alaska: Day 110 of 435 of the Battle of Kiska, Aleutian Islands. The US and Canada will defeat the Japanese invaders. PTO - Malaya: Day 218 of 357 of the Battle of Timor Island, a long guerrilla war ending in Japanese victory. PTO - New Guinea: Day 66 of 119 of the Battle of the Kokoda Track. The Australians continue pushing back the Japanese troops. This will become an Allied victory. PTO - Solomon Islands: Day 49 of 187 of the Battle of Guadalcanal. ETO: US 8th Air Force: B-26s hit airfields in France. Russian Front - North: Day 747 of 872 of the Siege of Leningrad. Russian Front - North: Day 508 of 658 of the Siege of the Kholm Pocket, USSR lays siege to the Kholm Pocket but the Germans hold out for a about a year and a half. Russian Front - Center: Day 49 of 57 of the 2nd Battle of Smolensk, Russia. Becomes a Soviet victory as the Axis are pushed completely away from the Moscow region. Russian Front - Center: Day 39 of 48 of the Battle of Bryansk, Russia. German troops continue evacuating Bryansk. Russian Front - South: Day 32 of 122 of the Battle of the Lower Dnieper River, USSR. CBI - China: Day 2,271 of 2,987 of the 2nd Sino-Japanese War. PTO - New Guinea: Day 6 of 219 of the Battle of Shaggy Ridge. This will become an Allied victory. PTO - New Guinea: Day 3 of 162 of the Battle of the Huon Peninsula. This will result as an Allied victory. PTO - Solomon Islands: Day 41 of 56 of the Battle of Vella Lavella. The Allies will win this one. PTO - Bellona Island: A C-47 evacuating 24 patients from Palau to Guadalcanal runs low on fuel and makes a forced crash-landing in a small clearing, during which a piece of metal severs the trachea of one patient. 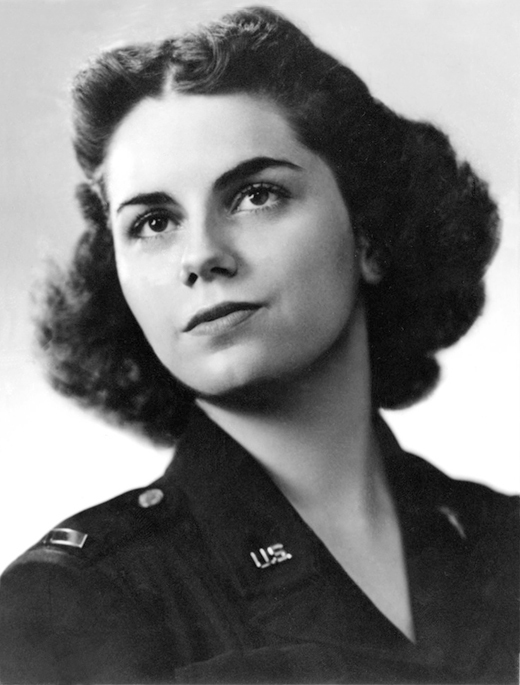 Air Evacuation Flight Nurse 1st Lt Mary Louise Hawkins keeps the man's throat clear of blood with makeshift tubing until aid arrives 19 hours later, receiving the Distinguished Flying Cross for her bravery. Serving as an Air Evacuation Flight Nurse in the Army Air Corps, 1st Lt Mary Louise Hawkins spent 13 months flying wounded out of the Pacific theater. Her endeavors saved lives and shortened suffering for countless wounded while earning her the Air Medal. The C-47 she was aboard on 24 Sep 44 was forced to crash-land on Bellona Island, which had not yet been cleared of enemy forces. During the landing, a propeller tore through the fuselage and severed the trachea of one patient. Improvising with the limited medical supplies on hand, such as making a suction tube from the inflation tube on a "Mae West" jacket, she kept the marine alive until a Navy destroyer arrived and rescued the party some 19 hours later. For her gallant and noble efforts, she was awarded the Distinguished Flying Cross, becoming one of only a handful of women during WWII to receive the honor. ETO - France: Day 55 of 284 of the Battle of Brittany. ETO - Belgium: Day 23 of 62 of the liberation of Belgium. ETO - France: Day 10 of 236 of the Siege of Dunkirk. ETO - Netherlands: Day 8 of 9 of Operation MARKET GARDEN. British 2nd Army reaches the Lower Rhine. British troops cross the German border southeast of Nijmegen. ETO - Germany: Day 6 of 145 of the Battle of Hürtgen Forest. ETO - France: Patton's US 3rd Army's Moselle bridgeheads to the south of Metz are sealed off by the Germans. Russian Front - Finland: Day 10 of 223 of the Lapland War. Finland and Russia have joined forces to kick the Germans out of Finland's most northern province. Russian Front - North: Day 8 of 10 of the Battle of Porkuni, Estonia. Russian Front - North: Day 11 of 41 of the Battle of Riga, Latvia. Russian Front - Center: Day 11 of 72 of the Battle into East Prussia and northern Poland. Russian Front - South: Day 11 of 72 of the Battle of Belgrade, Yugoslavia. MTO - Greece: British naval units begin operations against the German occupied islands in the Aegean Sea. MTO - Greece: US 15th Air Force B-24s bomb at Eleusis, Kalamaki, and the Tatoi Airfield, the marshalling yard at Salonika, and harbor at Skaramanga. CBI - Burma: Day 177 of 302 of the Chinese Salween Offensive in Burma. CBI - China: Day 2,637 of 2,987 of the 2nd Sino-Japanese War. Day 161 of 259 of Japan's Operation ICHI-GO. PTO - New Guinea: Day 285 of 597 of the Battle of New Britain. PTO - New Guinea: Day 156 of 481 of the Battle of Western New Guinea. PTO - Palau Islands: Day 10 of 74 of the Battle of Peleliu (Operation STALEMATE II). PTO - Palau Islands: Day 8 of 36 of the Battle of Angaur.